WWF has pioneered the concept of ecoregions (ecologically distinctive areas that broadly represent the diversity of the earth’s natural patterns) and we continue to use the region’s most globally distinctive ecoregions to organize our work. Additionally, protected areas, often seen as the cornerstone of effective conservation continue to be a focus of many of our support programs and other interventions. 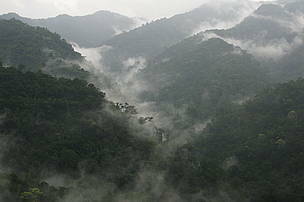 The misty mountain ranges of Kayah Karen Tenasserim ecoregion. 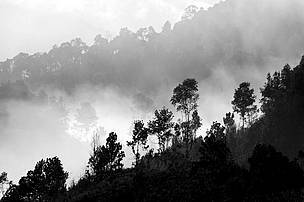 However, when habitats are fragmented by humans and turned into plantations, this can accelerate biodiversity loss. 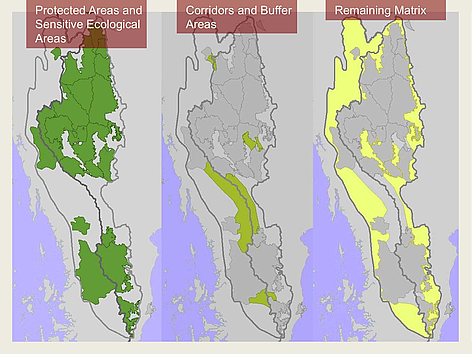 Hence, land use managers and conservation strategists are increasingly emphasizing the need to manage at the scale of landscapes. a remaining matrix (containing the bulk of a landscape’s human settlement, agricultural and industrial production, and heavy infrastructure). 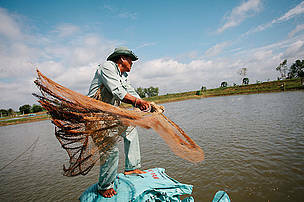 How does WWF approach landscape conservation in the Greater Mekong region? 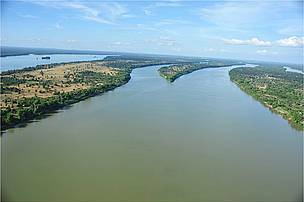 WWF-Greater Mekong's priority landscapes include some of the world’s most diverse habitats including deciduous dipterocarp forests, moist evergreen forests, karst limestone forests, open grasslands and savannas, upland plateaus, wetlands, and pristine riparian environments. These globally unique landscapes are home to no fewer than 20,000 species of plants, 1,200 species of birds, 800 species of reptiles and amphibians, and 430 mammal species, including Asian elephants and tigers. Moreover, new species continue to be described. provision and regulation of water supplies. By working at the landscape level, this allows us to work with a broader range of stakeholders, which helps to better coordinate activities that affect the landscapes and the natural systems they support.